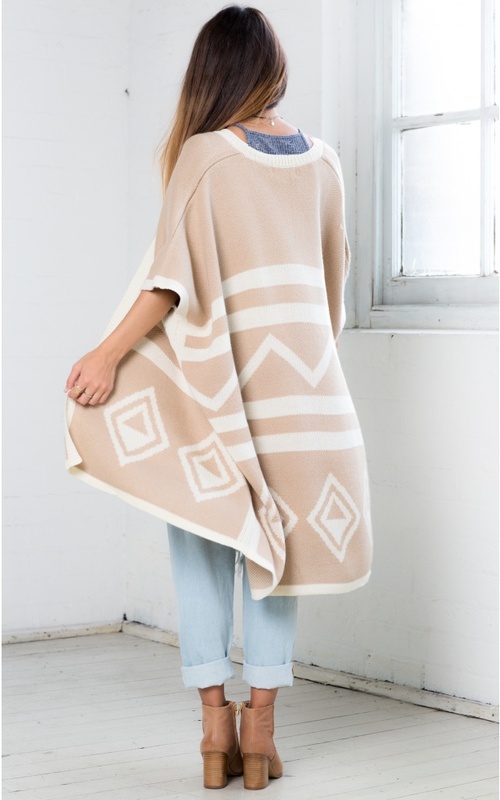 This cape is set to be your most used, versatile piece this upcoming winter. 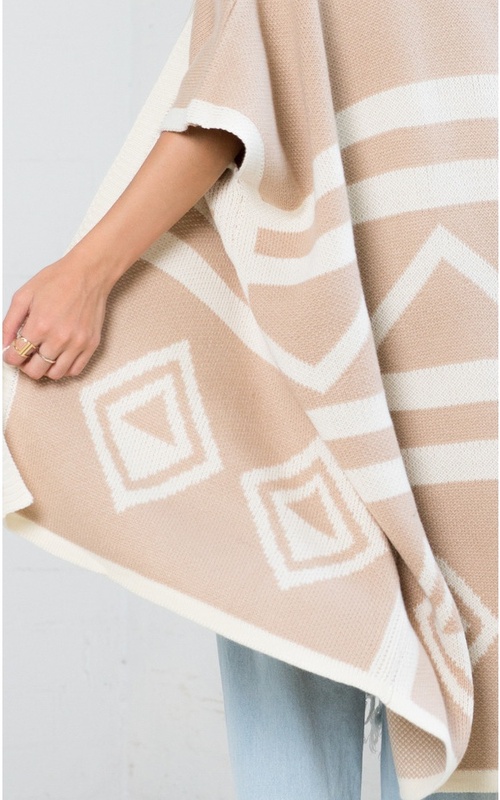 Throw it over jeans and a top for an instantly stylish, warm but comfy look. 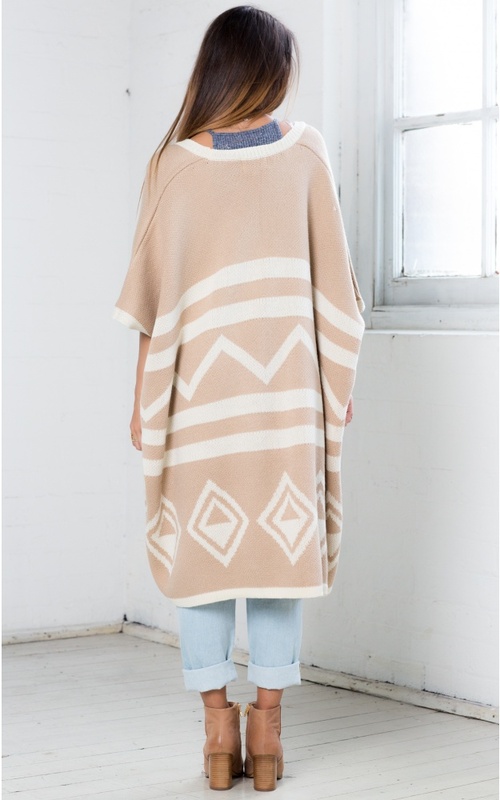 The beige colour and simple, but interesting print means this cape will go with everything!